This dermal filler is designed to help reduce folds and wrinkles, including nasolabial folds (those creases that form around the corners of your mouth and nose) by adding volume. A water-based gel suspends microspheres that are calcium-based and resemble minerals that occur in the body naturally, eliminating the need for allergy testing. Over time this gel and microspheres are absorbed by the body, leaving naturally occurring collagen in its place. RADIESSE is comprised of Calcium Hydroxylapatite (CaHA) microspheres suspended in an aqueous gel carrier. Once injected, it provides immediate volume and correction but continues to work by stimulating the body to produce its own natural collagen.Over time, the gel is absorbed and the body metabolizes the CaHA microspheres leaving behind only your own natural collagen. 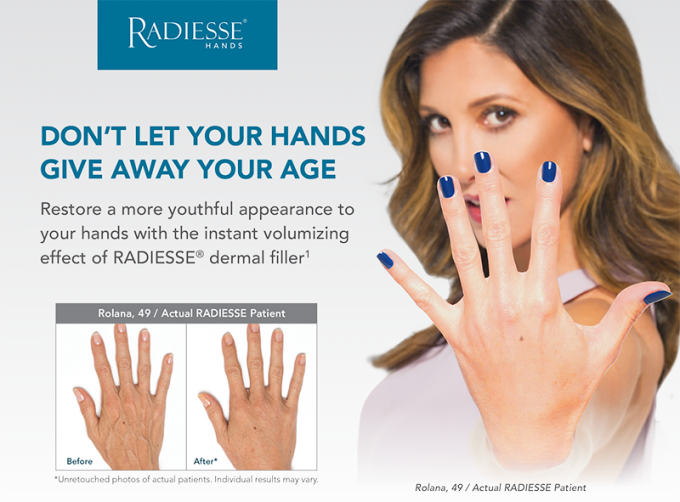 Radiesse is the only dermal filler approved for treating hands. It can improve appearance of hands by restoring lost volume, minimizing visibility of veins & tendons, and provide a smooth natural result. As Radiesse is mixed with lidocaine and is administered with an injection in a process that takes less than an hour to achieve, there’s little to no pain involved. Patients report that there is a significant reduction in pain with these injections. How long will my results from Radiesse last, and how soon will I see them? Radiesse results are immediately visible following treatment, with restored volume immediately smoothing out signs related to aging. In many patients these results are seen to last in excess of a year. Can I benefit from Radiesse treatment? 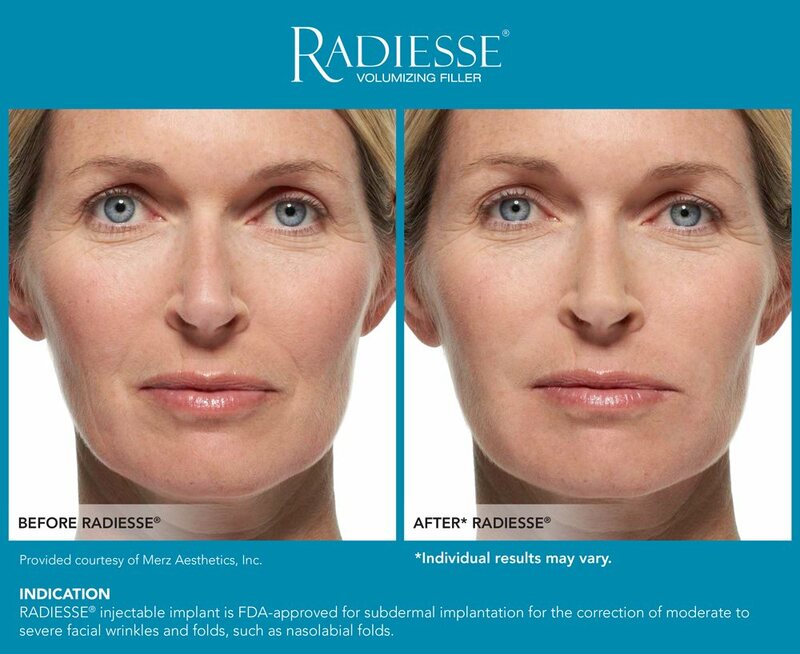 Radiesse has been approved for treating folds and wrinkles that are moderate to severe in nature. Patients who have demonstrated an allergy to anything in the treatment, or those who have a bleeding disorder, should avoid use of the product. Additionally those who experience allergic reactions to medications like lidocaine should not use Radiesse. Are there any potential side-effects from Radiesse? The side effects experienced by those receiving the Radiesse treatment include mild cases of itching, swelling, tenderness, and pain. These side-effects are typically mild and short-lived. If any other side-effects occur following treatment contact your health care provider. Is there anything I need to tell my doctor prior to receiving a Radiesse treatment? 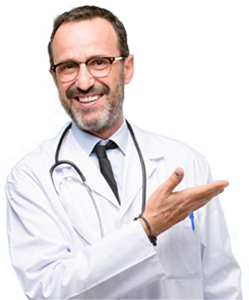 If you are presently taking medication that serves as a blood-thinner or interferes with bloods ability to clot you need to inform your physician. 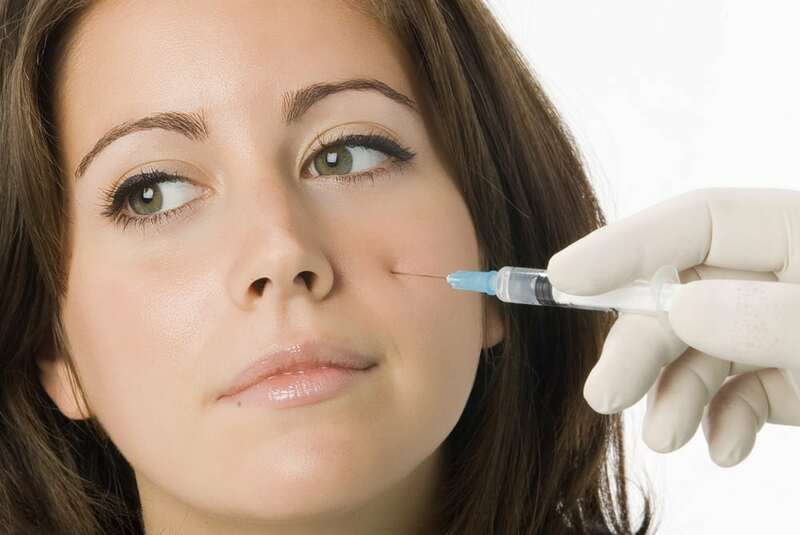 While bleeding at the site of injection is a possible side-effect of the treatment these increase the likelihood that you’ll experience bleeding and bruising. 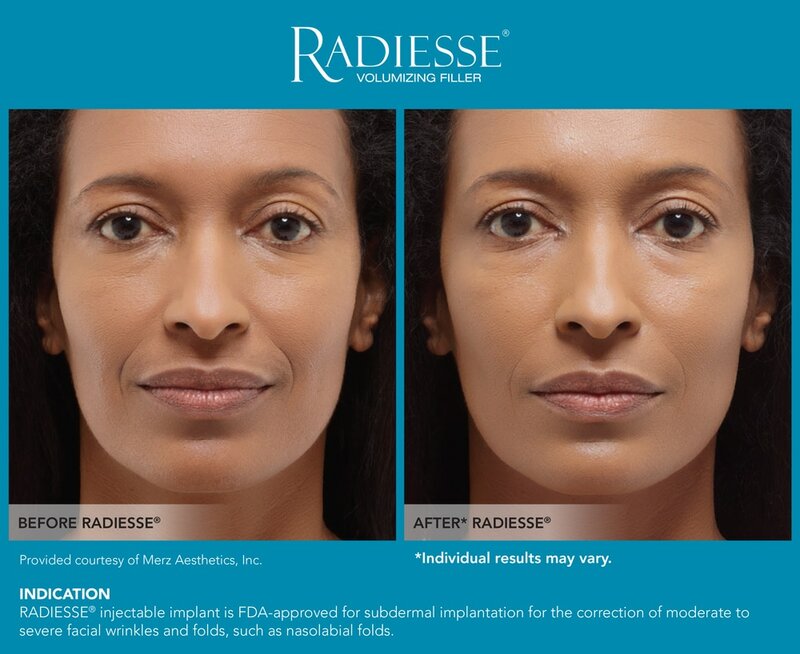 What are the risks associated with receiving Radiesse? While very rare there is a slight possibility of the injection being placed into a blood-vessel which can result in serious and potentially permanent complications. These complications can include blindness, temporary scabs, vision abnormalities, stroke, or permanent scarring of the skin. If you experience any of these symptoms contact your physician immediately.